Bhatkal is located at 13.97°N 74.57°E in the Uttar Kannada district of Karnataka. It has an average elevation of 4 metres (13 ft) above mean sea level. Bhatkal is situated on the west coast of India, and is bounded by the Arabian Sea to its west and the Western Ghats to its east. Bhatkal Town experiences moderate to gusty winds during day time and gentle winds at night. The topography of the Down Town is plain up to 3-4 km inside and 5-6 km Outside the coast and changes to undulating hilly terrain sharply towards the South and East in Western Ghats. There are 4 hilly regions with natural valleys within the city. The geology of the city is characterised by hard laterite in hilly tracts and sandy Red and Black soil along the seashore.The Geological Survey of India has identified Bhatkal as a moderately earthquake-prone urban centre and categorised the city in the Seismic III Zone. 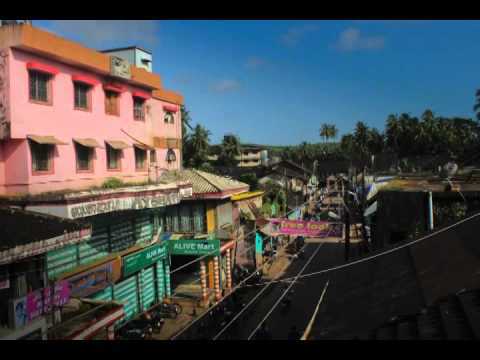 Bhatkal lies on the backwaters of the Two Rivers and Arabian Sea On the West.These rivers effectively encircle the Town, with the River One flowing around the South and the River Two flowing around the North of the city. The rivers form an estuary at the South and North Western region of the Town and subsequently flow into the Arabian sea. The coastline of the Bhatkal Town is dotted with several beaches, such as Nastar, Kariakal ,jali, Tenginagundi. Coconut trees, palm trees adds value to coast of the city. Bhatkla Town has a tropical monsoon climate and is under the direct influence of the Arabian Sea branch of the southwest monsoon. It receives about 95 per cent of its total annual rainfall within a period of about six months from May to October, while remaining extremely dry from December to March. Humidity is approximately 65 per cent on average, and peaks during May, June and July. The maximum average humidity is 73 per cent in July and average minimum humidity is 45 per cent in January. The most pleasant months in Bhatkal are from October to February, during which time the humidity and heat are at their lowest.During this period, temperatures during the day stay below 21 °C and drop to about 18 °C at night. This season is soon followed by a hot summer, from March to May, when temperatures rise as high as 38 °C. The summer gives way to the monsoon season, when the Town experiences more precipitation than most urban centres in India, due to the Western Ghats.Rainfall up to 4,000 millimetres (157 in) could be recorded during the period from June to September. The rains subside in September, with the occasional rainfall in October.